Carbon project developers have high hopes for the Sustainable Development Goals, which they hope will provide a clear benchmark for the non-carbon “co-benefits” that so many have worked so hard to create. But for the SDGs to catch on, we will need buy-in across all sectors: private, public, and non-governmental. Here is why it should happen. 15 June 2016 | Attend a major climate or development event these days, and you can’t help but hear about the United Nations Sustainable Development Goals (SDGs). “My ideal goal will be that every [company] will run its business plan and its objectives along the Sustainable Development Goals,” said Unilever CEO Paul Polman at this year’s World Economic Forum in Davos, Switzerland. “With the adoption of the Sustainable Development Goals, you have opened the opportunity to meet the climate-change challenge,” said Christiana Figueres, the outgoing Executive Secretary of the UN Framework Convention on Climate Change, at recent climate talks in Bonn. “Around the world, more and more people understand that climate resilience supports progress,” said UN General Secretary Ban Ki-moon, also in Davos, as he implored the private sector to stand up and take notice of the SDGs. “Trillions of dollars will be invested in infrastructure in the coming years,” Ban added – reminding the audience that many of those dollars will – or at least should – be deployed in accordance with the SDGs. This story has been adapted and condensed from a recent episode of the Bionic Planet podcast. Feel free to check it out in its entirety below – or, better yet, subscribe on iTunes, TuneIn, Stitcher, or wherever you listen to podcasts. Ecosystem Marketplace’s own research, published last month in Not So Niche: Co-benefits at the Intersection of Forest Carbon and Sustainable Development, shows that carbon offset project developers believe the SDGs will help quantify the value of co-benefits by providing a degree of recognition and standardization that existing carbon and co-benefits standards simply don’t offer. Report author Allie Goldstein broke those findings out in a story entitled “Emissions Reduced, Lives Saved: New Metrics For The New Normal”, which offers a deeper exploration of how the SDGs might complement existing standards. But what are the SDGs, and why is everybody talking about them? Taken by themselves, the SDGs are easy to dismiss as mere words, but they don’t exist by themselves: they’re woven into the Paris Agreement and into the lending guidelines of development banks around the world. If Polman gets his way, they’ll become a sort of universal benchmark for sustainable investing around the world – Generally-Accepted Accounting Principles (GAAP) for the planet. There are 17 of them, and they include things like ending poverty, ensuring good education, and building pipes, bridges, roads, and flood-plains that will work in a changing climate. 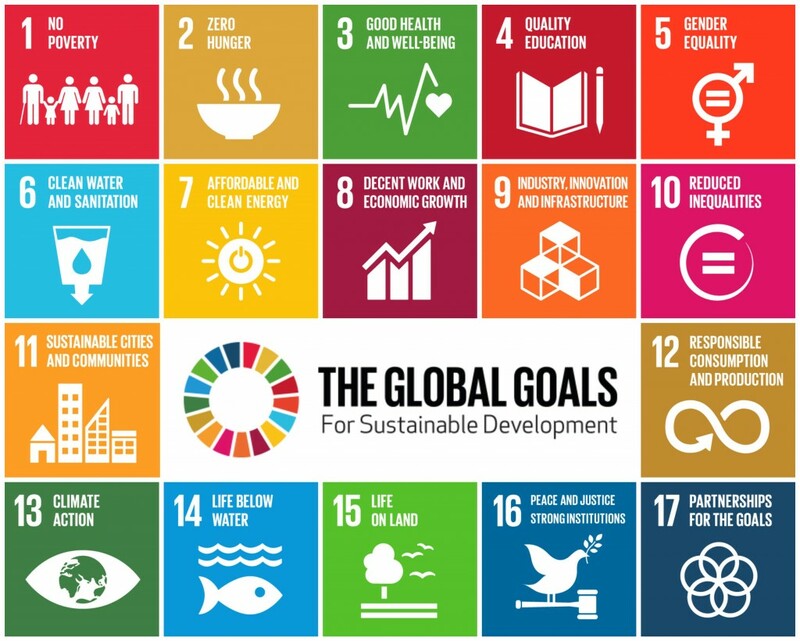 More than 150 world leaders signed off on the 17 Sustainable Development Goals last year, and proponents hope they’ll become the guiding benchmarks for businesses around the world. Basically, it’s stuff you can’t argue with – but how do you get there? First, by breaking the broad goals down into specific targets, and the SDGs are broken down into 169 of those, and each of them has billions of dollars in financing attached to it. Second, by weaving them into existing frameworks to get buy-in across the planet. Third, but drawing in the private sector. Goal 13, for example, is the one dealing with climate change, and it delineates five specific goals – from integrating climate change into national policies to helping people understand the science – but it also explicitly recognizes the UNFCCC as the primary vehicle for fixing this mess, and the UNFCCC has about a million financing mechanisms embedded in it. He’s on a crusade to win over the private sector one CEO at a time, but his success on that front will hinge on the uptake from investors, lenders, and consumers – groups that, he points out, stepped up big in Paris. 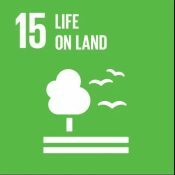 Sustainable Development Goal #15 aims to ramp up conservation and restoration of forests, farms, fields, and mountains by 2020, Daniel Duncan, the Prime Minister of Côte d’Ivoire, says his country aims to meet that goal by helping farmers boost productivity. “We have to have agriculture that’s friendly with the environment,” he said in Davos, as he outlined the country’s five-year agricultural development program – a $4 billion initiative that aims to ratchet up production while reducing the amount of land used for farming and restoring forests. But for the plan to work, it will need to draw investments of more than $2 billion from the private sector, and he sees that money coming through a combination of carbon finance and long-term investment in sustainable agriculture. Last year, in a piece called “Why the Sustainable Development Goals Matter”, Colombia University economist Jeffrey Sachs pointed out that the Millennium Development Goals did help guide policy and practices that slashed extreme poverty, and he argued that clear goals like the SDGs have a long history of focusing massive numbers of minds on a common cause. To bolster his case, he drew on a speech that John F Kennedy made 50 years ago to drum up support for the Limited Nuclear Test Ban Treaty (LTBT) with the United Kingdom and the Soviet Union. “By defining our goal more clearly, by making it seem more manageable and less remote, we can help all people to see it, to draw hope from it and to move irresistibly towards it,” Kennedy said. I’ve always respected Sachs, who helped Poland and other countries navigate their way out of Communism and into functioning economies, so I decided to dig up some audio of that speech for my podcast, Bionic Planet, and it’s even more relevant to the climate crisis than I expected. He went on to dismiss the “absolute, infinite concept of universal peace and good will of which some fantasies and fanatics dream,” but implored us to keep it real. To put these words into perspective, let’s remember when he delivered them: June, 1963 was just eight months after the United States went “toe-to-toe with the Ruskies” over the Cuban Missile Crisis. When the two countries, together with the UK, finally signed the treaty in August, it was one day shy of the 18th anniversary of the day the US dropped the bomb on Hiroshima. Three months later, Kennedy was dead. Nuclear proliferation was the climate-change of its day, and it’s still out there, lurking in rogue nations like North Korea, but the threat of nuclear annihilation isn’t what it used to be. “Though the LTBT certainly did not end the Cold War, it provided proof that negotiation and agreement were possible, and laid the groundwork for future pacts,” wrote Sachs. The Paris Agreement isn’t perfect, and it isn’t neat and tidy, like the Kyoto Protocol was – but that’s one reason the Kyoto Protocol failed. Such characterizations completely miss the point of the Paris Agreement and the SDGs, which aren’t “steps” at all but frameworks within which giant leaps can take place. The Paris Agreement, in particular, is more of a giant slide, decades in the making, that we can now glide down, and at speeds that are already sending shock waves through the fossil-fuel sector. While the Kyoto Protocol provided sound-bite-sized objectives but no clear way of achieving them, the Paris Agreement provides a workable, upward-adjusting, all-encompassing bundle of thousands of individual agreements hammered out through decades of scientific research and political negotiation in conjunction with thousands of other agreements and national laws. Klein eloquently advocates for some sort of “Leap”, which is great and necessary, but she and others need to stop trying to reinvent the wheel and instead focus on getting the wheels that already exist rolling. While I believe the world can walk and chew gum at the same time, goal 13 is a lynchpin that if we continue to fail so dramatically will be an obstacle to every goal. Privatize fossil waste disposal; a Market price for fossil waste dumping needs to be worked into the cost of extraction to assure payment will be made for the dumping created. The Market would pay equal shares to everyone who manifestly and inalienably owns the air: all of us with lungs. It’s been the experience of British Columbia that over 70% of people — and overwhelmingly the poorest — come out financially ahead, and only those who waste or privateer by Free Riding suffer costs until shifting to carbon-free energy. Indict under restraint-of-trade fossil racketeers whose payments to hide fossil liabilities to buyers, sellers and those exposed to severe harms are malicious, selfish deceptions piling private liabilities on the back of every citizen and prevented the world from looking harder for other solutions. End fossil subsidy to those industries whose dumping led to this mess, in any form of direct payment, tax break, or other gift by government of common wealth to private parties, such as is too common.